Finally, click on the Install button, to finish installing Sub-Zero plugin on Plex. Further, click on the small cogwheel settings icon next to Sub-Zero and configure the subtitle language settings. Then update your library after you configure Sub-Zero in Plex Media Server. Finally, wait until Sub-Zero downloads missing subtitles. 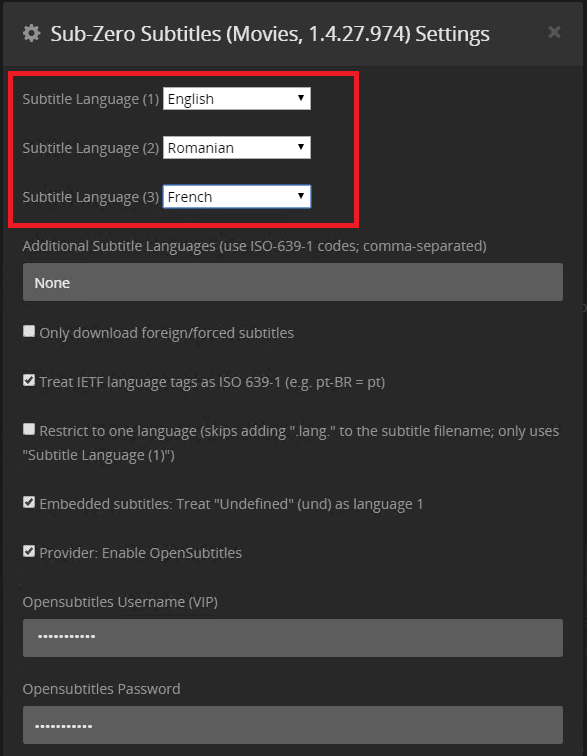 Thus, you successfully installed and configured the Sub-Zero plugin for Plex to download subtitles automatically. Furthermore, you may want to monitor Plex Usage with PlexPy. Additionally, you may install PlexPy on Ubuntu to monitor Plex Media Server usage. To further improve your Plex experience, check out our 10 Best Plex Unofficial Channels 2017: Movies, TV Shows, Live TV article.